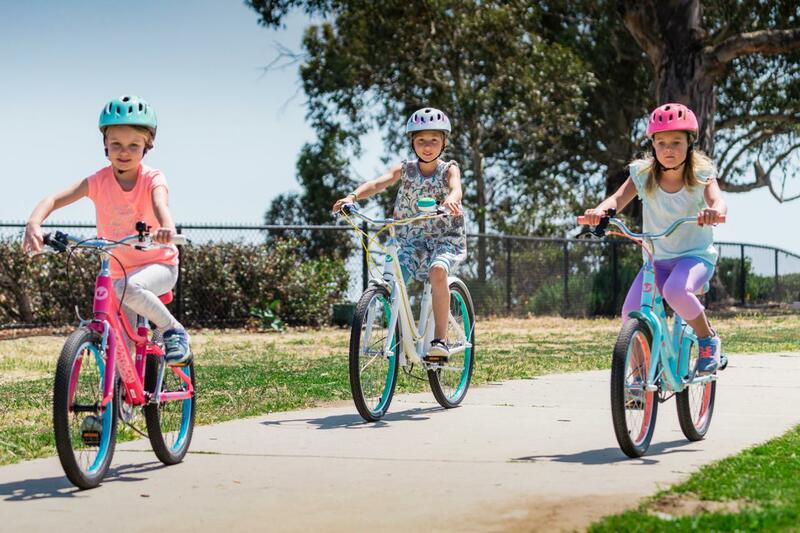 Any new qualifying youth bike that is purchased from one of our locations and attached to a membership can be returned for up to 100%* of the purchase price towards the next size up, until they get into their first adult bike. Returned bikes need to be in selling condition**. 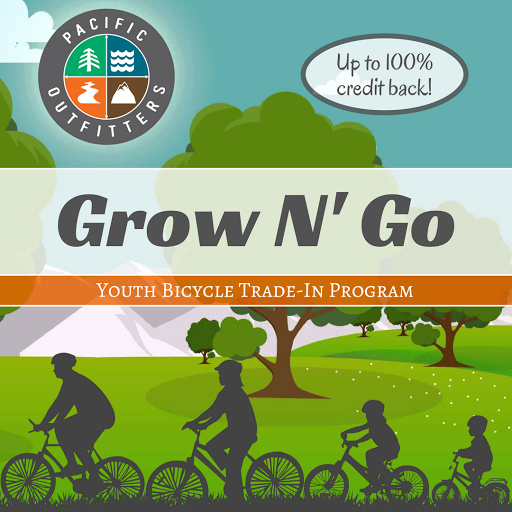 All bikes eligible for the Grow N’ Go program will have a sticker on them. Youth bikes consist of tricycles, push bikes, 12″ bikes, 16″ bikes, 20″ mountain bikes, select 20″ BMX bikes, and selected 24″ mountain bikes & youth specialty bikes under $400. *100% of the purchase price for the first year, 50% for the second year, and 25% for the third year, up to the selling price of the new bike (no reimbursements or credit if the new bike is less than the trade-in bike’s original purchase price). The customer is always responsible for paying the sale tax . **A bike is considered in “selling condition” if it is neither damaged nor missing parts, such as; reflectors, seat, grips, tires, chain, pedals, training wheels, etc. The bike must be clean and free of dirt or mud: the shop can provide a cleaning service for a fee of $19.99.